New CO2 removal technology gains significant investment from fossil fuel companies, but greens have doubts. This is false. A scientific theory can never be proven. Performing repeated experiments lend further support to validate the theory, but never “prove” the theory. It takes only one irreconcilable observation to invalidate a theory and it’s simply impossible to test an infinite number of possibilities, hence theories can never be “proven”. That all depends on the theory. For example very early on there were many theories about the planets of our solar system that have been tested with the use of later technology. In many ways various aspects of atomic theory are now considered facts. Although I assume that your point would then be that as experiments validate something that the falls out of the theoretical and is accepted as fact. The Earth Goes in cycles. That’s what makes logical common sense in general. So the globe never gets warmer? Well, yes and no. A theory can still never be proven. A theory simply provides a valid explanation for the phenomena observed. But theories are composed of facts gained from observation. So, you begin by developing a hypothesis that is tested with observations to support the hypothesis. You then continue the experiment, further testing the hypothesis until you accumulate enough evidence to develop a theory. Through this method, facts related to the phenomena are used in support of the theory. Facts don’t ever change. But theories are simply an explanation of the facts. Additional experimentation may discover more facts related to support the theory, meaning the theory evolves, but is never “proven”. But I fully acknowledge that outside of scientific circles, the term theory has a very different meaning and people commonly think theories are “proof”. Well said. This is a good explanation. Do you not understand the word “cycles”? Do you not understand that global warming is fact? Answer my question and I will answer yours. Don’t play stupid. You know exactly what the question was. You deniers believe that because climate change goes in cycles that that somehow means that man is incapable of altering it. When confronted with a cheap and effective way to remove carbon from the atmosphere this is the response from a green activist, same article. You would acknowledge that that most of everyday science is not in the realm of theory? Traditional theories like Evolution, Big Bang, Relativity, Continental Drift, etc., by and large will never be proven since they deal with questions that no scientist was there to observe. But science pertaining to polymers for example are not in that aspect of science. For example a polymer chemist can claim that theoretically PVC can last 100 years or more. Right now that statement is theoretical since PVC is not 100 years old. But once PVC reaches the 100 year mark that currently theoretical statement can be proven true. But I’m sure we can both acknowledge that there is no so-called “Theory of PVC” in the scientific community. Another example in my field of Chemistry is that the Atomic Theory does not include many aspects of chemical bonding and compound formation. So in that regard most of chemistry is not part of atomic theory. That’s scary stuff and confirms to a portion of that religion it goes beyond finding a solution. I was reading about this technology on a few sites and it sounds very promising and energy companies are pouring millions into the tech including Chevron, Occidental and BHP. And it’s like “Meh” to the alarmist. Got mine by earning it, get your own. Please quote any post where I have said that man is not capable of altering the climate. There goes the ice just like the scientists have predicted. 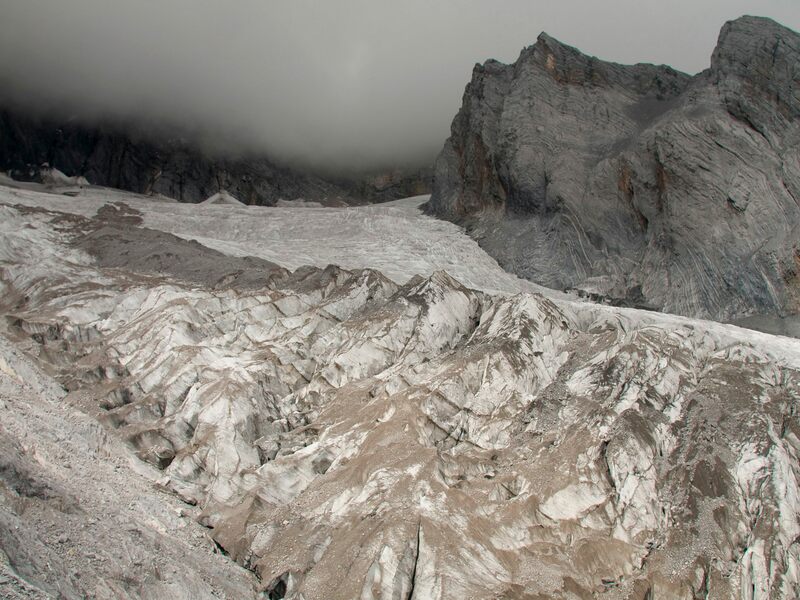 WASHINGTON (AP) — Earth's glaciers are melting much faster than scientists thought. A new study shows they are losing 369 billion tons of snow and ice each year, more than half of that in North America. I have a little kid and i have to be honest, the idea that we as a family (and him as an adult) may have to deal with climate change induced upheaval scares me a lot.